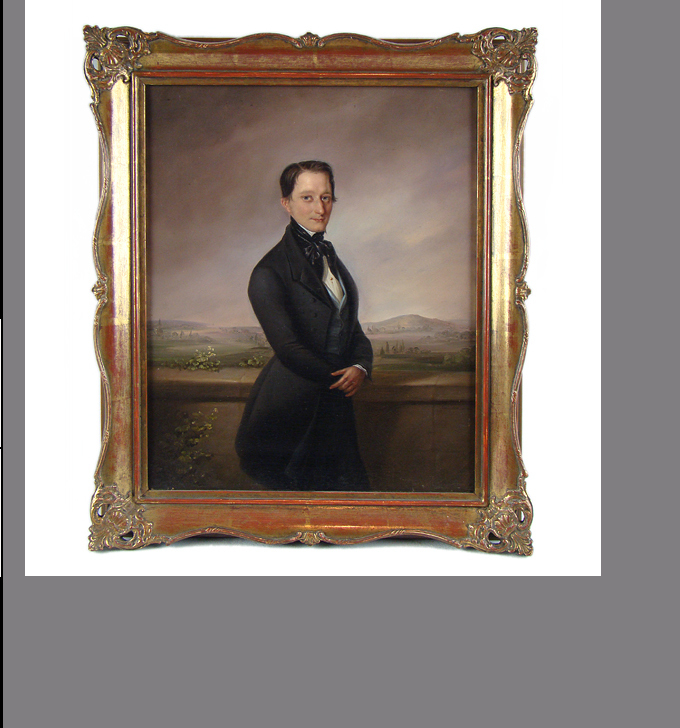 Ehregott Gruenler (1797-1881) portrait of a gentleman, oil on canvas, c.1840. Signed. Framed measurement of about 21"x18".